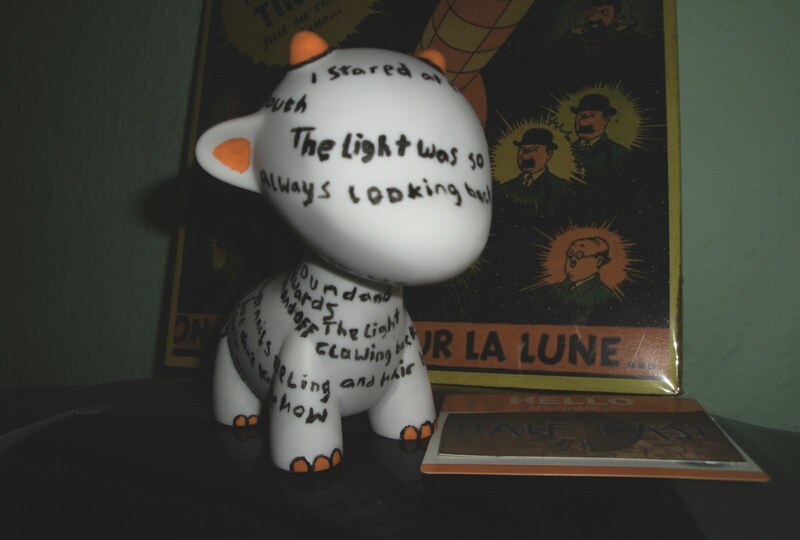 As mentioned on the very first post of this blog I had been doing a lot of 3D Poetry. 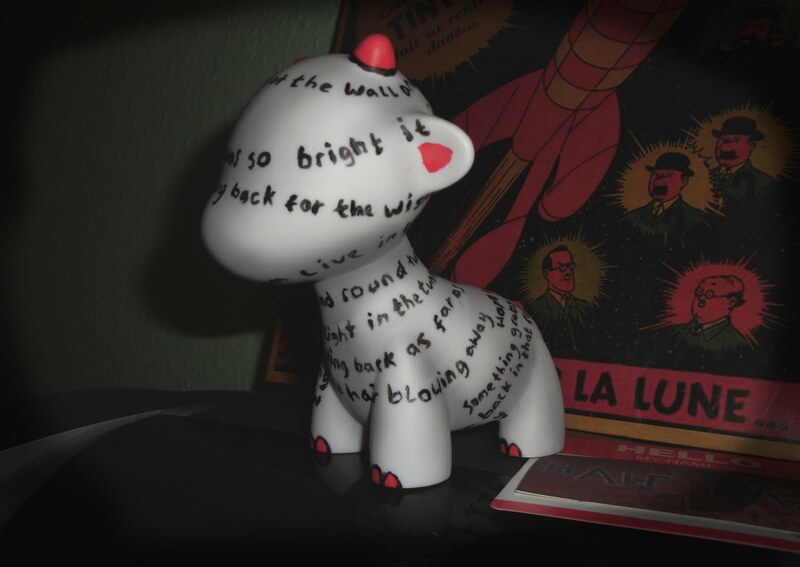 This is when I write poetry on a 3D object such as a piece of Urban Vinyl. I’ve had a small amount of success we these with several exhibitions. This piece was also photographed as a piece of 3D Graffiti. More info on this here. 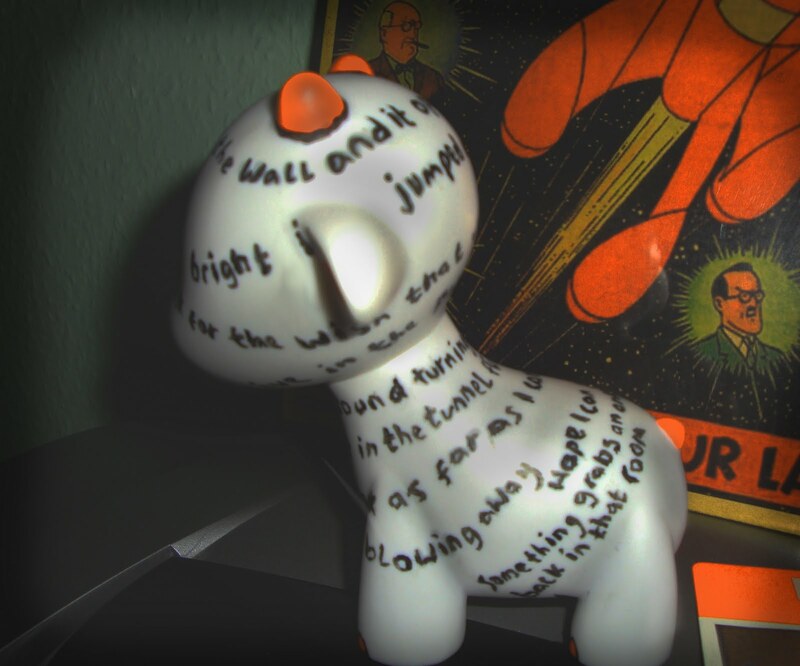 The images below show the toy in different positions. The piece was created back in March and is not part of my portfolio, so I thought it would be best posted up here. Tomorrows post will be some new sketches I think.